You are most welcome to drop by anytime! Our reasons for selecting Artista were both the modern designs and the professional staff such as yourself who was our original contact. The service that both you and Artista provided was amazing and the end result was fabulous. We could not be happier. We are so pleased to be in the Bridgwater Forest area and in an Artista built home that was well designed, is modern and is beautiful to show others. We love the finishing job and the openness and brightness which results from the high ceilings and the many large windows facing the forested area. We have had so many compliments on the design of our home and the excellent finishing work by Artista. Also, after we moved in, Artista dealt with the very few minor issues we faced both quickly and professionally. One of the owners and Fabio even came over after hours to fix a minor problem with a door lock which technically was not their problem. Amazing!!! Service like that is seldom received these days. I am aware of other owners who were not so fortunate with their builders. Unfortunately for them they did not build with Artista. If we were ever to build again it would certainly be an Artista home and we would want to work with you again. You were so personable, accommodating and very professional. It was a pleasure to deal with you in both selecting a great lot and on throughout the building process. If anyone ever needs a recommendation from us about either you or Artista please give them our telephone number. They are most welcome to call us and even to visit our home to see the end result which we are positive will reflect proudly on all of you. Please, once again, extend our sincere thanks to everyone on the Artista team. Proud owners of an Artista built home. " "I Liked your show homes. contemporary design and space. I Had a great experience working with Phil. Will recommend Phil to all friends willing to purchase Artista Homes"
The honesty about the pricing and design was great and refreshing. Very easy communication between all parties. Features we love most about our new home is the extremely modern and great curb appeal. Features are all higher end product and built well. Benifits of working with Artista Homes are, Open communication with the owners and Phil Amero. They treat you as a person, not just another contract number. I have referred Phil to my immediate and extended family members, who have all used him to sell their homes. We are thrilled with the overall experience of selling our first home with Phil, and then ultimately building our dream home with Artista and Phil. I can't think of a better representative for this company than Phil Amero!!" I cannot keep raving to everyone about Artista and how freakin awesome our home is thanks to you guys!!! "We fell in love with the luxury style and felt value for dollar compared to any other builder was more superior. Phil was laid back and a low pressure sell and did not pre judge us as we were a young couple. Spent more time answering questions then anyone else and truly was great to deal with. Artista has delivered on all levels of all customer service and address any issues and questions as needed before and after sale. We love the whole layout of our home and the massive windows and having a award winning home never hurts haha. The modern custom design is amazing. Custom everything!! 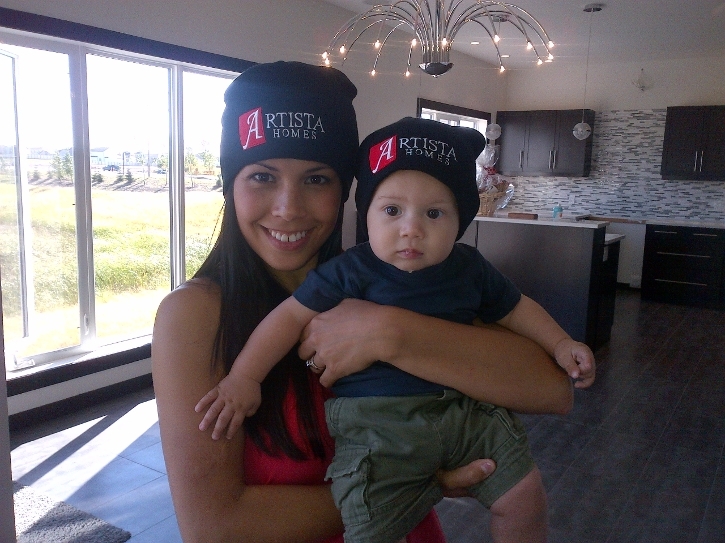 Artista Homes is a 5 star house with 5 star service based on my buying experience. Classy houses, classy staff and great owners who are involved as well. I would recommend Phil Amero and Artista Homes to everyone. Mater fact I wouldn't even consider building with anyone else. I think there homes and service is beyond a level anyone else could offer. They sold us our dream house and have been great to deal with. Phil will help you with all your needs now and down the road. Can't ask for much more then that."